Hunters England ‘Sherwood Blend’ Beard Oil has been the latest beard care product to be sat on my beard for the past three days. A beard care brand located in Burton Upon Trent, Staffordshire, England and established in 2016. The oil is a base of Argan, Jojoba, Grape Seed, Sweet Almond, Castor and Vitamin E Oil,the result is a light oil that works into the beard well, however I did end up with a very dry beard after an hour or so! The essential oils used in ‘Sherwood Blend’ are Sandalwood, Cedarwood and Vanilla, the scent is soft and warm, slightly woodsy with the gentle scent of the vanilla. I am a fan of Sandalwood, it is such an amazing scent and is a long lasting scent and it is said to have a relaxing effect. Hunters England ‘Sherwood Blend’ Beard Oil is bottled in a 25ml glass bottle with a glass dripper to dispense the oil. It’s available via the Hunters England website for £13.95. Hunters England is a family owned and traditionally operated business located in Burton Upon Trent, Staffordshire, England established in 2016. 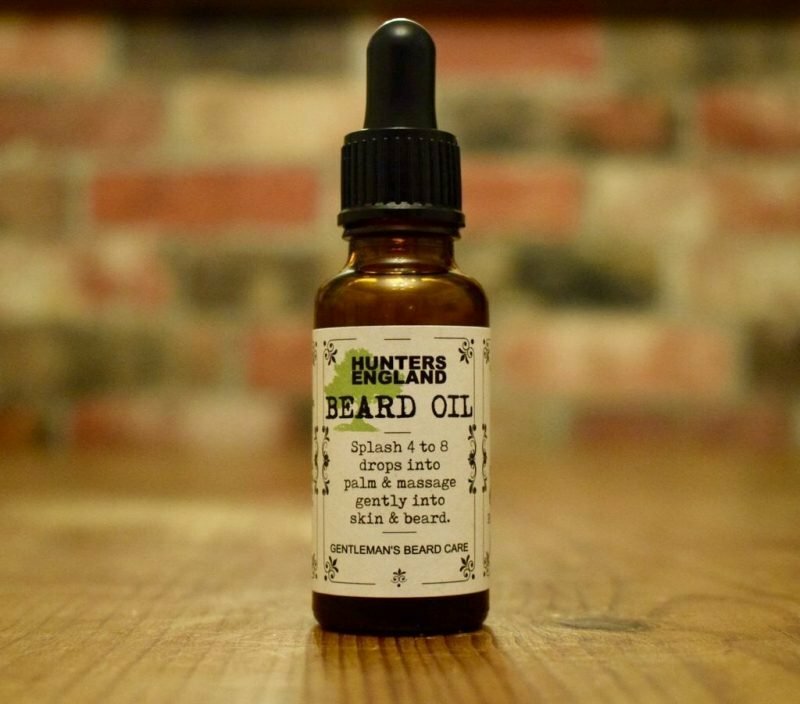 At Hunters England it is our aim to produce the highest quality beard oils using only 100% natural and organic ingredients and deliver you a bespoke product that will transform your beard just after one application. All of our products are hand-crafted and all Hunters Oils are produced in individual bottles to ensure freshness from the moment it’s made, to when it ends on your beard. We don’t keep our bottles on shelves. We blend them fresh, always to your order. We take pride in our bespoke blending process. We can create the most complex and imaginative blends to match your wildest dreams and memories. We look forward to share our oil blending passion with you and welcome you to Hunters family.